We’re your go to for Inspections, Repairs, Installations, & Replacements. "The cost estimate to replace a complicated house roof was very competitive. The employees were careful and very professional. I highly recommend them and have done so in my own community. They also do construction as well as painting. "* - Mike C.
With the GAF system, we use complete GAF roofing components, beyond just the asphalt shingles, to install your new roof. By using all GAF-tested materials, we are able to offer extended warranty options with complete coverage for up to 50 years! Our success is a result of expert training, detailed quality control, and ongoing education. With over a century of combined knowledge and experience serving Northern Michigan, you can count on us to get the job done right. With our hands-on approach from the initial consultation, to the final execution, and beyond, our goal is to build a positive and long-lasting relationship with our clients. 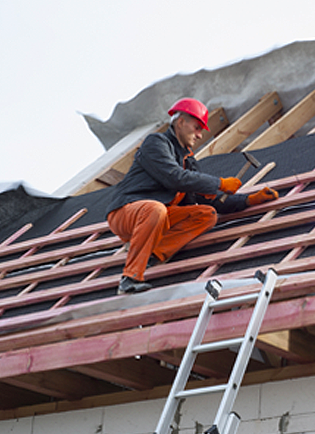 Our Team is made up of highly-trained, GAF-certified and GAF Master EliteTM technicians. With a focus on quality craftsmanship and exquisite detail, our goal is to ensure a superior final result that will protect your home for decades.